I'm still here though and am so excited to bring you this super exciting opportunity! Hyland's is participating in a HUGE giveaway called "Made to Matter." I LOVE Hyland's products! I'm a huge fan of homeopathic remedies and find Hyland's reasonable in price and effective! Here are the giveaway details! Hyland's is honored to be one the industry's leading natural, organic and sustainable brands selected for the "Made to Matter – Handpicked by Target" product collection. Hyland's has partnered with some of these "better-for-you" brands to bring you an exciting "Brands Made to Matter" Giveaway. Join us in celebrating this amazing initiative by entering to win an array of products from Hyland's, Happy Family, Suja Juice, SheaMoisture, Justin’s and Paddy’s Bathroom! Three lucky winners will each receive a prize package worth approximately $400! Enter now through April 13. Hyland's gentle, natural medicines provide relief for the whole family. Always safe, natural and effective, Hyland’s offers a trusted array of products for colds, coughs, muscle pain, teething, earaches and much more! Paddy’s Bathroom make certified organic + natural stuff for bath time for babies, toddlers + kids of four months and up. Through their Drop Buy Drop program they are helping lots of kids in Rwanda get access to clean + safe water. Founded in 2004 by Justin Gold, Justin’s makes delicious, palate pleasing nut butters and peanut butter cups. All products are made with all-natural, high-quality ingredients that deliver great taste, unique texture and convenient nutrition for all. Suja Juice strives to help people transform their lives through conscious nutrition. They handcraft three lines of delicious Cold-Pressured, Organic & Non-GMO juices, smoothies and teas that are USDA certified Organic and certified Non-GMO. Launched on Mother's Day 2006, and founded and operated by moms, Happy Family is a leading premium organic food brand delivering optimal nutrition for the entire family. Firmly committed to "A Better Way to Beautiful," SheaMoisture's award-winning products feature certified organic Shea from our family to yours. This truly is an awesome prize pack! All you need to do to enter is click here! **giveaway open to US residents only! One entry per person! I'm running a Tula baby carrier giveaway in my Bumgenius B/S/T and chat group! It started today and will end in 2 weeks! It's back to school time here... and you know what that means? Packing lunches for my littles. I was so excited when Santa Cruz reached out to me and asked me if I'd be interested in trying out some of their products! If you know me, then you know that eating local and organic foods is high on my list of priorities! I was sent a 4 pack of apple sauce in a squeezable pouch, a jar of strawberry fruit spread, and a jar of peanut butter! I sent the applesauce with my 4 yo to preschool. It is so easy for little ones to open and eat! No need to send a cup of applesauce with a spoon (which never makes their way home to me anyway)! 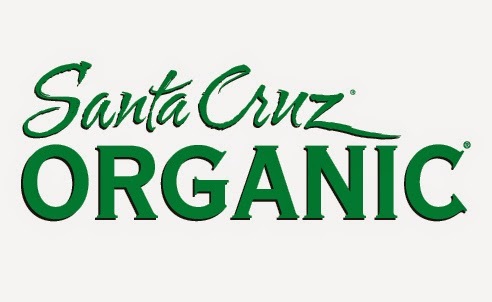 Santa Cruz offers a wide variety of awesomely organic products. 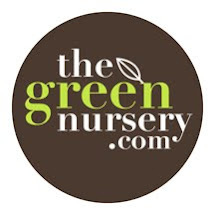 To see what all they have to offer, visit their website. Oh and you may also want to check out their 'recipe' page for a list of delicious recipes!! Santa Cruz has generously offered one of you the chance to receive these same items I received (open to residents of the US only)! To enter, simply click on the link below! Tots Bots Winner and summer break! You are the winner of the Tots Bots diaper. You have been e-mailed and have 48 hours to respond to claim your prize before another winner is drawn! **Summer time is here and the kids are out of school. We are moving at the beginning of July! The blog has been neglected for awhile but I've found it great to be able to spend some quality time with my family while taking a break! I have an awesome review and giveaway for UV skins coming up very soon. You won't want to miss out! I am so thrilled to introduce to you my latest obsession I mean go-to diaper!! TOTS BOTS! These are the new prints ^^ that have come out in the new V4 version! The diapers pictured below are a part of their 'story book collection' and come in the older (V3 version)! If you are stateside, you can still get the V3 version (I saw a few in snaps only) from retailers such as Thanks Mama! Or perhaps it's the way these diaper work, the high quality of production, or maybe it's a matter of all of the above combined! Tots Bots has a few different versions of their diapers to choose from. There is the TeenyFit (which is an all in one (AIO) diaper designed to fit babies from 5-12 lbs; the EasyFit (also an AIO), and a one size diaper, designed to fit babies from 8-35 lbs; and lastly the Bamboozle. The Bamboozle is a stretchy bamboo fitted diaper, which comes in two sizes. Size one designed for babies weighing from 6-18 lbs and size 2 designed for babies weighing 9-35 lbs! Tots Bots also offers swim diapers and training pants! The new TotsBots easy fit V4 has a bamboo, cotton and minky blend fabric booster! Pop in booster comes as standard for increased absorbency. Integral waterproof outer means there is no need for a separate cover. Hook & loop fasteners enable quick and easy changes. Wrap-around stretch for ultimate comfort and fit. Super absorbent bamboo interior is so soft next to baby’s skin. Fits from 8lbs to 35lbs. I was thrilled to have been sent the brand new V4 TotsBots "binky" in the Hickory Dickory Dock print in hook and loop closure! For those of you that have been a reader of my blog for any amount of time, know that I am a DIE HARD snaps (poppers) girl!! Read on to find out what I discovered while using this diaper!! This print is so much more vibrant and rich in real life!! Clocks, and mice and cheese!!! When I was stationed in Germany... I flew home for Christmas the first year I was there and I bought my parents a cuckoo clock from the Black Forest! It was awesome! This diaper kind of brings back memories of that! A good look at the print! Ok, here is the inside. It is indeed an all in one diaper with a pocket near the back that you stuff the inners into! As you can see in this picture, the snap in soaker which is bamboo, cotton, minky blend (aka binky) fabric gives this diaper superb absorbency and is GREAT when used at night!! You simply fold the soaker at the snap and stuff it into the back side of the diaper's pocket. This diaper is amazing! I LOVE the prints (and solid colors of the diapers which can be found here)! I LOVE that it's an all in one (AIO) with the optional snap in soaker for heavy wetters or overnight use! I LOVE, LOVE, LOVE the prints! I can't wait to get them ALL! I also love the quality! These diapers are very well made and Tots Bots really does a great job with their customer service!! 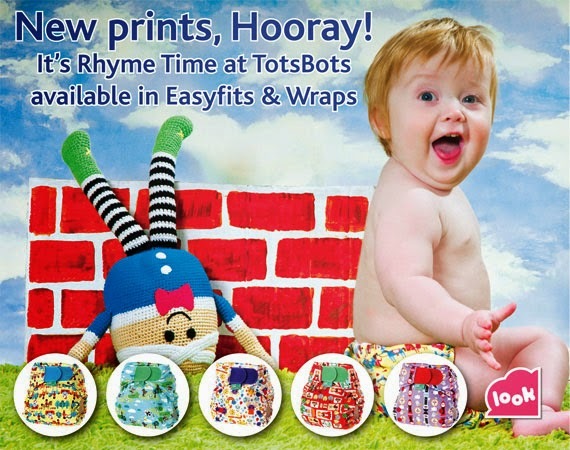 The older Easy fit Tots Bots diapers can be purchased now on Amazon.com! The newer V4 version is not available *yet* in North America... and this new version will replace the older V3 style! BUT wait, that's not all!! Tots Bots has graciously given one of the the opportunity to win a Tots Bots V4 right here!! Winner can choose color/print in either hook and loop or snap closure! Please note that the prize will not be mailed to the winner until the V4 version is available in North America!! To enter, simply fill out the rafflecopter form below!! You may have to click 'read more' in order for the rafflecopter form to fully load! Another clothdiaper giveway!! 7 winners and one of the prizes is a Bumgenius Freetime in Jules print!! We are having another giveaway event over in the Bumgenius cloth diapers b/s/t and chat group that I co-admin!! I'd love for you all to join the page and enter to win!! To enter, simply fill out the rafflecopter form below! 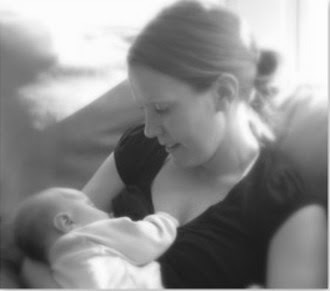 Congrats to Kristin F. You are the winner of the Gia breastfeeding pillow giveaway! You have been e-mailed and have 48 hours to respond to claim your prize! Don't forget to enter the multi winner giveaway here... 7 winners and over $150 in prizes!! I am a woman of faith, a stay at home mom, mother of two awesome boys, and one little girl! I've been married to the love of my life for 10 years! I love living a green and frugal life, and having loads of fun while doing so! I enjoy gardening, camping, scrapbooking, shopping ;) and am absolutely addicted to cloth diapering! I know, many of you may think it strange, but I LOVE, LOVE LOVE cloth diapers (aka fluff)!! I am a veteran of the United States Army, and also a Military wife! I strive to put 100% into everything I do, while always putting God first. I am excited to share this journey that I am on with you, and hope that you will enjoy reading about My Life with My Littles! !